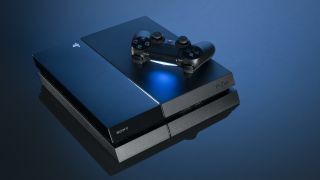 Sony announced at GDC 2015 that it's sold 20.2 million PS4 consoles worldwide as of this month. That doesn't 100% clear up who's winning between Sony's PlayStation 4 and Microsoft's Xbox One, since the most recent official Xbox One numbers came from last November, when Microsoft had shipped 10 million of the consoles. That said, it's unlikely that that number doubled in the three months since then, no matter how well the Xbox One sold over the holidays. "We are so grateful for the enormous support from PlayStation fans worldwide, and we are truly humbled that gamers around the globe have continued to select PS4 as the best place to play," said Sony Computer Entertainment CEO Andrew House of the PS4's impressive sales. It seems for now that Sony is ahead in the current console war, though we can't be totally sure - and even if it is, it's not by much. With both platforms doing everything they can to pull ahead the real winners at the moment are clearly gamers.